Escape the urban bustle at Nature & Wildlife Tours and Manly Beach. 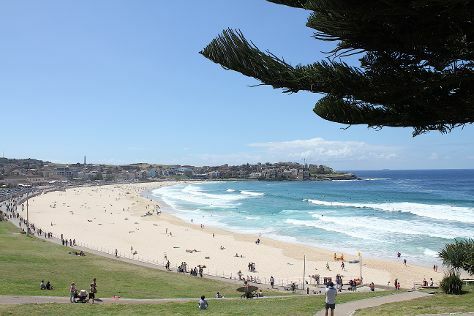 Relax by the water at Bondi Beach and Shelly Beach. You'll find plenty of places to visit near Sydney: Historical Aircraft Restoration Society (in Albion Park Rail), Katoomba (Katoomba Antique Centre, Blue Mountains Cultural Centre, & more) and Leura (Everglades Historic House and Gardens & Leura Mall). Spend the 13th (Sat) exploring nature at Bouddi National Park. Spend the 21st (Tue) exploring nature at Sydney Harbour National Park. There's much more to do: browse the eclectic array of goods at Sydney Fish Market, examine the collection at Australian National Maritime Museum, explore the world behind art at Norman Lindsay Gallery & Museum, and catch a live performance at Sydney Opera House. To find where to stay, reviews, maps, and tourist information, read Sydney vacation maker site . In April in Sydney, expect temperatures between 26°C during the day and 17°C at night. Cap off your sightseeing on the 22nd (Wed) early enough to travel back home.